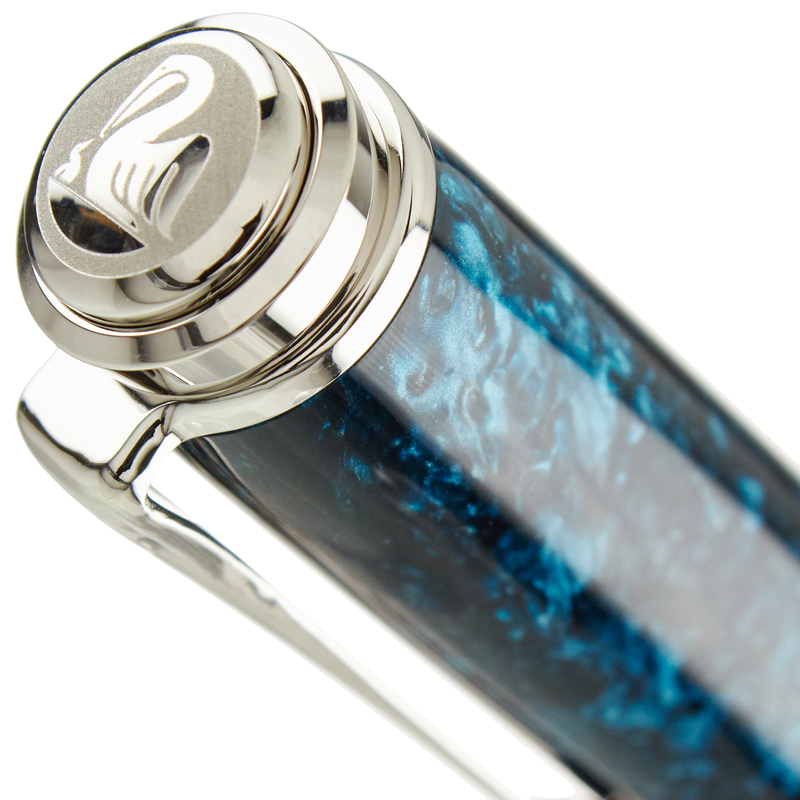 The Pelikan Souverän M805 Ocean Swirl Special Edition will be available for a limited time only - we have received one last shipment of this pen, and no more will be available after our very limited remaining stock is gone. As with any you pen you purchase from us, the Ocean Swirl qualifies for our complimentary nib tuning services, which adjust ink flow and optimum pressure to your personal writing characteristics. Pelikan 18k solid gold nibs also serve as excellent starting points for many of our unique nib customizations, which add character and distinctiveness to your writing and can make this pen a valuable tool for the professional or amateur calligrapher. The Ocean Swirl arrived today, and just like all of my other Pelikan pens, it shows outstanding workmanship and a functional design. The material used for this pen is really outstanding, for it reflects and plays with light as no other pen I have seen. It is almost as though the pen were filled with water, and it is moving around under the surface of this pen. My nib choice for this pen was F, and it gives me a cleaner line than my M or B nibs. While I have never received a Pelikan that was a bad writer, I have chosen Nibs.com for my orders since I like the added assurance that the nib will write exactly as I prefer, and they do. This one is very smooth with excellent, consistent ink flow. 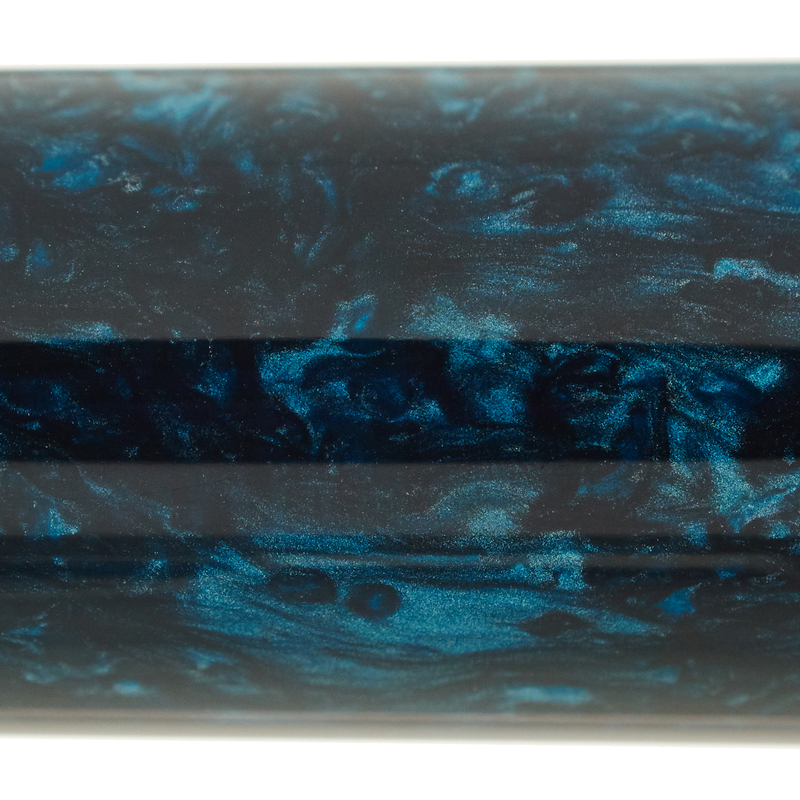 The arrival of a new Pelikan Special Edition fountain pen is always big news in the fountain pen world, and the M805 Ocean Swirl is among the most keenly anticipated of Pelikan's recent releases. 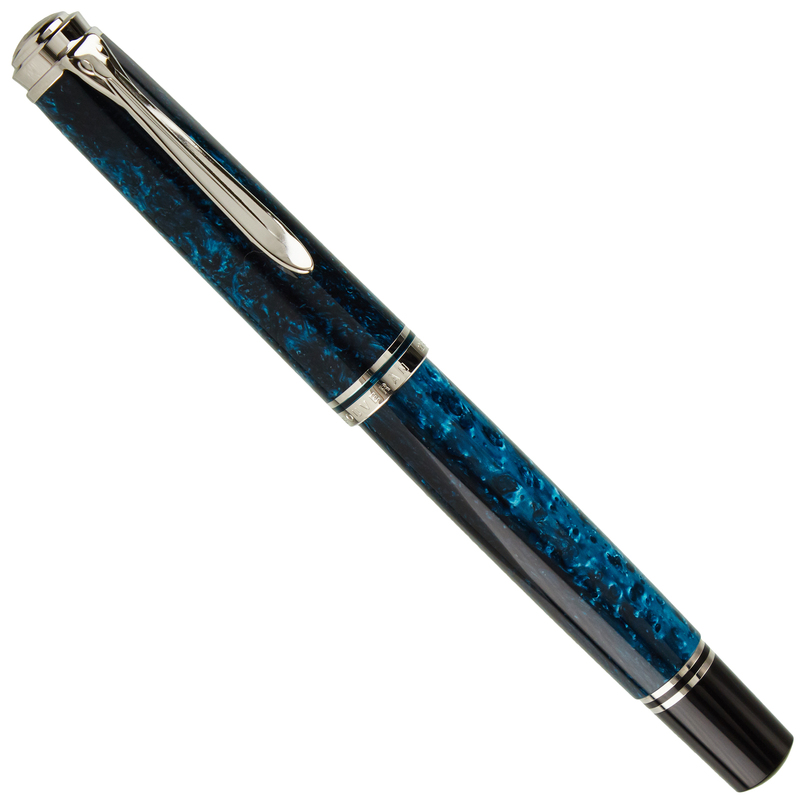 The swirling, patterened appearance is unique to each individual pen, and palladium trim highlights the rich greens, blues, and blacks utilized. 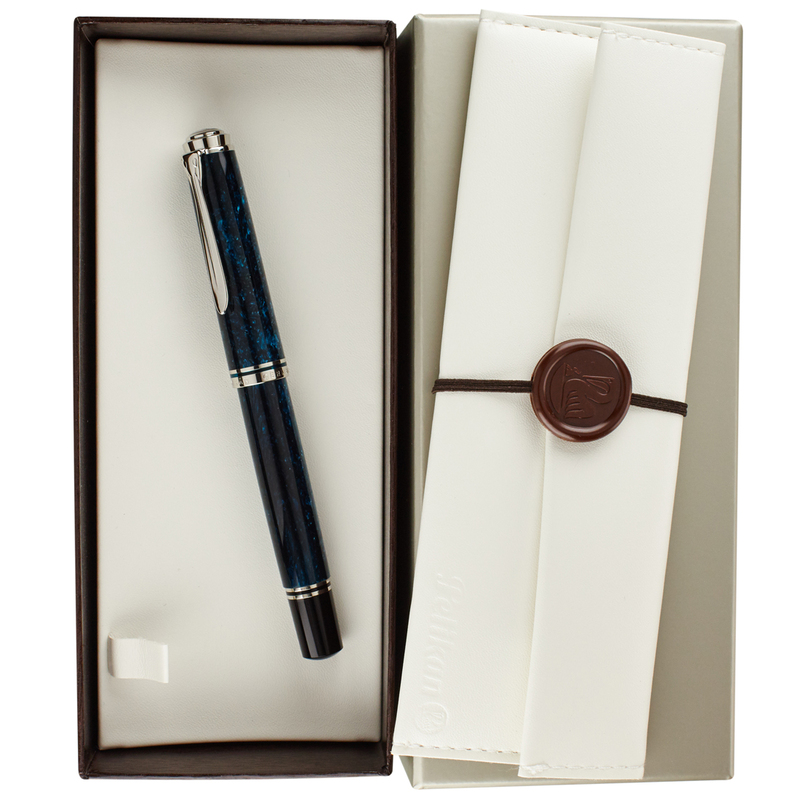 Pelikan's differential piston-fill system allows this pen to be filled using any bottled fountain pen ink, and the pen ships in a stylish and attractive gift box, making this a highly appropriate gift item. 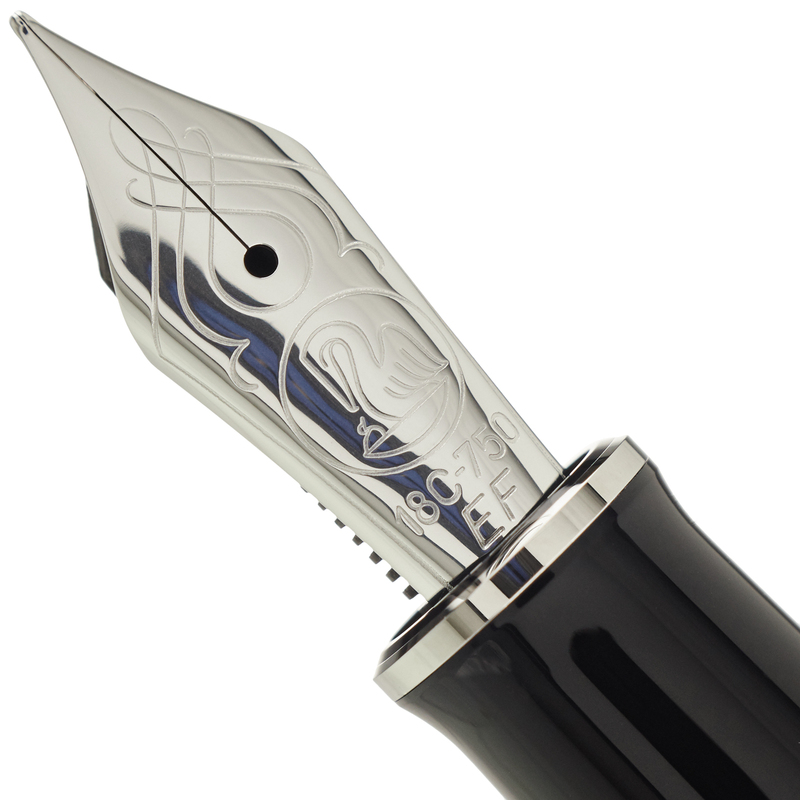 We are an authorized Pelikan retailer, and each pen will be carefully examined and tested by us before shipping.